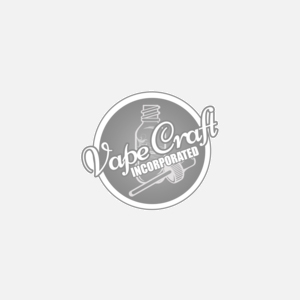 This entry was posted on March 19, 2016 by vape. Have you ever wondered how better off you really are by switching from regular cigarettes to the vaping? Well a quick Google search will tell you that vaping/e-cigarettes are 95% less harmful than tobacco according to a study carried out by the Public Health England[¹]. Great news! But of course, this isn't the full story. Even though vaping is widely regarded as the better option to ‘traditional’ smoking, it has been around for a relatively short period of time and there are concerns over some of the chemicals they contain. These chemicals are known as Diketones. (Note: not all ejuice contains diketones, some are diketone free). Be sure to check out our diketone free vape juice. If you’ve been vaping for a while you may have heard of diketones once or twice but have never really thought to look into it further until now. In this blog post, I want to explain what diketones are, the different types of diketones, whether you should be concerned and other ingredients found in e-liquid. Diketones aren’t just something that is used in e-liquid, it is something that is found in the general flavoring industry. This is because it is used as an additive for buttery flavorings and creamy flavorings in food as well as in e-juice. Diketones are actually required by law to be tested for in food however it is not required by law to be tested in inhalation products. This is why many of you who vape find it difficult to find concrete information as to whether some e-liquids are diketone free. Diketones isn’t just one chemical however, it is the term used for a group of chemicals. The chemicals that are known as diketones are diacetyl, acetyl propionyl and acetoin. However it is known that acetyl propionyl and acetoin can sometimes also contain traces of diacetyl. I will go into each of these in more detail. Diacetyl is the most questionable out of the three and for good reason. In the 1990’s, it was found that workers in a popcorn factory contracted bronchiolitis after inhaling high amounts of diacetyl for a long period of time. Diacetyl is used as an additive to create the beautiful buttery flavour we get in our microwave popcorn. While levels of diacetyl are tested in food, nobody had realised before this incident that inhaling diacetyl could be cause of concern. Bronchiolitis is now known in laymen terms as “popcorn lung” because of this incident. While even the hardiest of vapers won’t inhale as much diacetyl into their lungs as popcorn factory workers, it is a harmful substance that is going straight into your lungs. A second(and newer) study was also conducted by the Harvard T.H. Chan School of Public Health[²] that showed that smoking tobacco resulted in inhaling 750 times more diacetyl than vaping e-juice. Keep in mind that Diacetyl isn’t in some e-juice at all, and a much higher amount of diacetyl can be found in tobacco cigarettes as seen in the chart below. The other diketones are acetyl propionyl and acetoin which aren’t as much of a concern as diacetyl but many vapers still try and avoid them in their e-liquid. After manufacturers realized the harm diacetyl can cause when inhaled, they looked for alternatives so they could still create creamy and buttery flavors. These alternatives came in the means of the diketones acetyl propionyl and acetoin. It has been found out recently though that these can actually ‘catalyze’ into a small trace of diacetyl either during the manufacturing process or even during the vaping experience. While these two diketones are considered to be safe for inhalation, many vapers try and avoid these ingredients when purchasing e-liquid. There has not yet been any scientific evidence as to whether acetyl propionyl and acetoin are harmful or not. As mentioned earlier on, vaping is a relatively new thing and so tests are still continuing to be done. Due to the lack of scientific evidence surrounding acetyl propionyl and acetoin there is little cause for concern. The main cause of concern is with diacetyl which has proved to cause problems with lungs known as ‘popcorn lung’ which is irreversible. This doesn’t mean that you should stop eating your delicious buttery microwave popcorn though as diacetyl is safe for food consumption. It is only harmful when inhaling large doses of it and for a long period of time. While diacetyl has been found in some e-cigs and e-liquid, it is important to take into account that even then, you may be better off vaping than smoking traditional cigarettes because diacetyl is found up to 750 times more in cigarettes than in e-cigs. While there is a very minimal chance of contracting ‘popcorn lung’ from vaping, many vapers and manufacturers choose to stay clear. If you know of any companies that still use diacetyl let us know in the comments below, and we will update the thread with a list of companies. You will generally find that most well-known e-liquid manufacturers now don’t sell any e-liquid that contains diacetyl but you will still find manufacturers who will sell e-liquid containing acetyl propionyl and acetoin so as to be able to create popular flavors such as banana cream, butter and custard. E-liquid is what fuels your vaping device/e-cigarette and is what gives the flavor. It can also provide a nicotine solution to those who are just starting to switch from traditional smoking. E-liquid is what evaporates to create the vapor that is very similar to that of traditional cigarettes. It can come in many flavors and contain different ingredients. Those ingredients can include the diketones I have spoken about and also propylene glycol (PG) and vegetable glycerine (VG). Propylene Glycol is nontoxic and is a flavoring found in foods, some ingredients in food coloring and even some medicines. It is an additive just like diketones for flavoring, but a nontoxic additive. It is usually recommended to have a blend of both propylene glycol and vegetable glycol for a much smoother flavor than if you were to have 100% PG. Just like with propylene glycol, it is recommended that you blend both vegetable glycerine and propylene glycol as VG can be very hard to vape of if it is 100% strong. This is because VG is a thick vegetable based liquid so is harder to evaporate. It is quite sweet in taste and is nontoxic so makes for a good e-liquid ingredient. We will be publishing an in depth article on our blog soon about VG/PG ratios. Stay Tuned! I think the main thing to point out is that only diacetyl has officially been found to cause lung problems when inhaled and that there is no evidence(yet) to show that acetyl propionyl and acetoin do the same. More and more research is being done by professionals on e-juice which you will always find out about here. For now though, be sure to avoid any e-liquids that contain diacetyl.